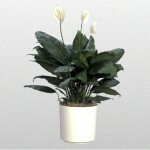 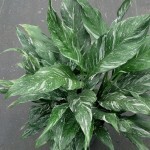 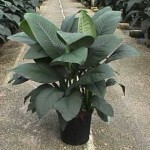 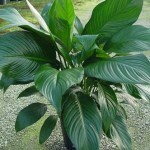 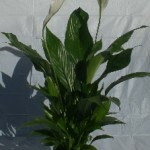 The Spathiphyllum, with the common name of “The Peace Lily” comes in about 40 different varieties and is a long-time favorite of plant store owners and growers. 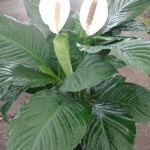 The Peace Lily gained fame when NASA NASA put it on its list of “Top Ten Household Air Cleaning Plants.” This tropical plant breaks down and neutralizes toxic gases like formaldehyde and carbon monoxide inside its pores. 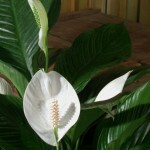 While we all appreciate cleaner, oxygenated air, it’s also the easy Peace Lily care, resiliency and forgiving nature that makes them such popular house plants. 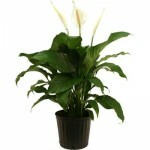 The Peace Lily is a great “starter plant” for people who are reluctant about starting to own house plants because it “communicates” with its owners by “sagging” a bit when it is in the need of water.